It’s the beginning of the week. The weekend is a distant memory. 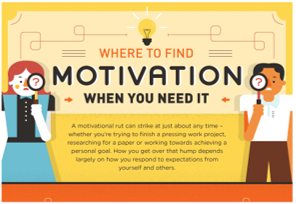 Your ‘to do’ list is growing, but motivation is shrinking. Rebooting your drive is not as difficult as it might feel — it just requires a bit of self-knowledge. Productivity expert Gretchen Rubin identified four types of personality — upholder, questioner, obliger and rebel — each of whom can access a different tool kit when in need of a motivation boost.